In our third year of honoring Coronado Women Who Mean Business, we present the profiles of 12 women who are making a difference in their industries and the Coronado community. Some of these women, such as Pat Boer and Maria Kunac, have a legacy of a lifetime of remarkable service; others, like Kate Gillingham, are rising stars and it will be a pleasure to watch as their careers unfold. Read their stories and come away inspired! You don’t meet too many fourth-generation Coronadans, but Ashley Gill-Kehr can claim that fame. “My grandfather graduated from Coronado High School in the ‘30s,” says Ashley, who, after graduating from CHS in 1998, pursued a career in cosmetology. After apprenticing and working for three years with one of San Diego’s most well known stylists, Saylor Wright, at her “Hey Saylor!” salon in Little Italy, Ashley opened a boutique studio with a partner in Banker’s Hill. As a single mom to Gavin (now 9), Ashley realized she wanted to raise him in Coronado and to work nearby. So, in 2005, she opened a five-chair salon on C Avenue near First Street. She married Dan Kehr in 2008 and had her second child, Wesley, in 2011. In June 2012, using all local architects and contractors, Ashley expanded her salon to a 12-stylist plus manicurist studio at the corner of First and C.
Ashley has a soft spot in her heart for children’s charities, and annually hosts a fundraiser for Miracle Babies, a support group for parents confronted with the cost of premature births. She is a member of the newly formed Rady Children’s Hospital Auxiliary, Coronado Unit and is happy to support other local charities, such as the Coronado Schools Foundation and Coronado Hospital Foundation, with gift baskets and donations of services. Ashley has built a regional reputation as an award-winning hair stylist and colorist and teaches the principals of hair color for TIGI at salons throughout Southern California and Las Vegas. 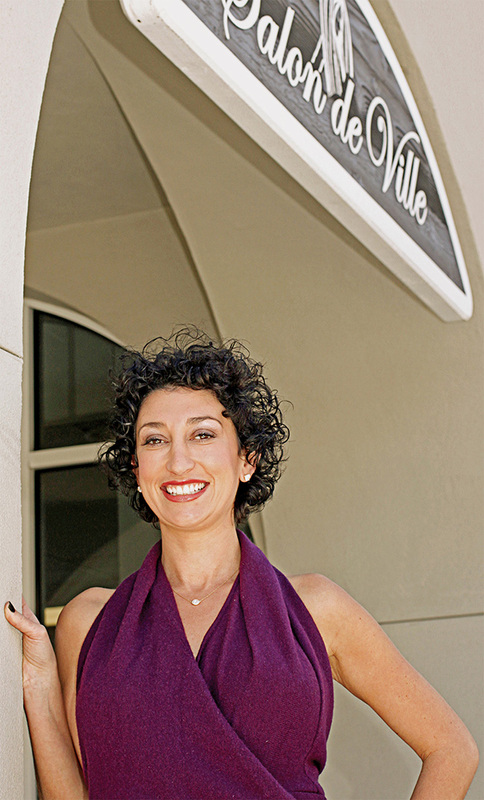 Her goal is for her salon to continue to grow as an environment for education and beauty in Coronado. Born and raised in the small town of McAllen, at the southernmost tip of Texas, Andrea graduated high school in 2½ years, then graduated with a double major in fine arts and art therapy from The University of the Arts in Philadelphia. She moved to San Diego in 2004 and obtained a master’s degree in marriage and family therapy from San Diego University for Integrated Studies, graduating with the highest GPA in her class. She had the opportunity to do just that, when she joined Coronado SAFE as a program mentor in December 2009, overseeing the Team SAFE activities at Coronado’s middle school and high school and supervising kids in mentored community service. “What’s important is how we work with the kids, how we listen to them, and create an environment where they feel heard, valued and respected,” she says. In 2011, Coronado SAFE became official partners in promoting character with the Coronado Unified School District, and Andrea moved into SAFE’s executive director’s position. Concurrently, the organization’s mission evolved from preventing substance abuse to creating an environment to support the development of healthy children. “I knew that focusing our efforts on the symptom of a problem (substance abuse) wouldn’t ultimately deal with the problem,” Andrea explains. “We needed to get down to the root causes and conditions and to strengthen those foundations so the symptoms are not present. 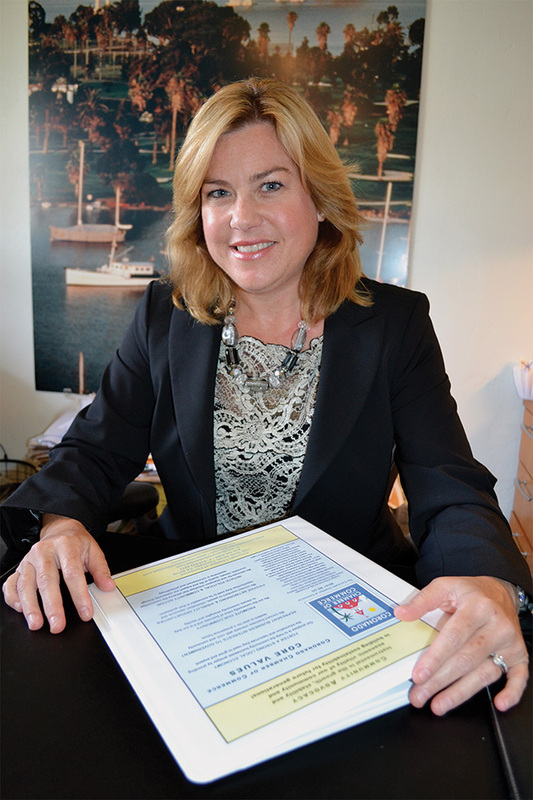 Kate Gillingham may be the youngest person to have ever obtained a broker’s license in Coronado. But that achievement, in 2012, when she was 24, would be just another of the many “firsts,” for this enterprising young woman. A 2005 Coronado High School grad, Kate was named MVP of her swimming and diving team, which went to the CIF playoffs her senior year. She also competed in cheerleading, with her team qualifying to compete at the World Championship. Throughout high school, Kate worked part-time at her family’s real estate and development firm, Coronado Island Realty. “I learned so much about real estate development from shadowing my dad,” she said, noting she had a front-row seat as her Dad, Dave Gillingham, developed 875 Orange (the yellow building on the corner of 9th and Orange), the 1906 Lodge and the condos on Ynez and Adella. She graduated in 2009, “a really interesting time to launch a real estate career,” she says with a steely-eyed grin, recalling that the first government bailout came at the start of her senior year of college, the second, just months before her commencement. Despite the fiscal torpedoes aimed at the industry, in 2010 Kate closed 20 transactions including short sales, REOs, trust, probate and traditional sales. “It gave me the opportunity to really learn the market, which created a strong foundation for me to build on,” she said. In 2011, Dr. Riedy invited Kate to serve on the university’s Real Estate Alumni Board, and this year Kate serves as Chair of the 15-member board that, among other endeavors, coordinates a mentorship program for undergraduate real estate majors, raises money for scholarships and volunteers at the Monarch School, a school for homeless kids in Downtown San Diego. At the time, Helen and her late husband, Dennis, lived in Tempe, Ariz., where Helen owned a large temp agency. The Walkers, who had married at the Hotel del Coronado in 1985, wanted to move to the island. At the height of the financial recession of the early ’90s, the Walkers got very lucky: “We sold our five-bedroom, four-bath home to the winner of the Arizona state lottery!” Helen said, beaming. Soon the Walkers settled in Coronado and Helen set her sights on becoming the wedding planner of choice for the Hotel del Coronado. After learning everything she could about the wedding planning business and brushing up on her Southern-borne etiquette, Helen delivered a detailed proposal for what she could bring to the Del. She walked a few doors down from her Ocean Boulevard home and knocked on the door of her neighbors, M. Larry Lawrence, then the owner of the hotel, and his wife Shelia. The butler, as Helen expected, politely accepted the beautifully prepared package; it wasn’t long before Helen was contacted by the hotel’s management and “Coronado Weddings” was off and running. After coordinating hundreds of weddings at the Del and the finest resorts in Southern California, Walker took note of her frequent requests for smaller, more intimate ceremonies in Coronado and recognized there wasn’t a venue other than churches, which often limited weddings to their membership, or public parks, which were subject to weather conditions and could not provide privacy. In 2013 she opened Coronado Wedding Chapel by the Sea, a beautifully constructed, intimate setting that can accommodate wedding parties of two to 20. Located on R.H. Dana Place directly across from Hotel del Coronado, the chapel provides complete wedding packages that include marriage licenses, floral arrangements, photography, music, limousine service and more. Couples have also turned to the chapel for Renewal of Vows. Private Bank. The bank continues to be heaquartered in Coronado with offices in Downtown San Diego, La Jolla, San Marcos and Newport Beach. 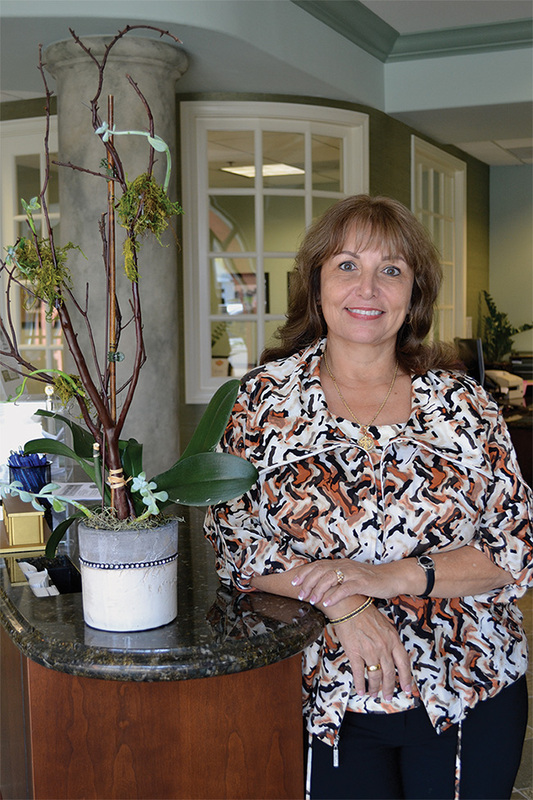 Maria has spent more than 30 years with Southern California-headquartered financial institutions in roles including chief lending officer, chief internal asset review officer, chief credit officer, special assets division manager, and commercial real estate and construction lending manager/training coordinator. She began her banking career in 1972, working with Home Federal Savings, and four former San Diego based financial institutions. Maria serves on the Federal Reserve Bank of San Francisco’s Twelfth District’s Community Depository Institutions Advisory Council. 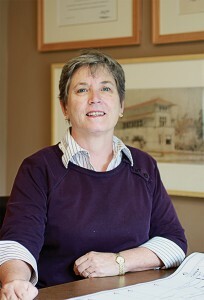 She also serves on the board of the California Independent Banker’s (CIB). 96 percent of all banks in the United States, with California and the West having a smaller percentage, 91 percent, “because big mega-banks have gobbled smaller institutions up,” she notes. “The biggest advantage of dealing with a community bank is that as bankers and staff we know the community we are in and decision-making is made within the community,” she says. “We want to see our local businesses succeed, and I’m happy to go out and meet with customers at their businesses. You can’t really understand a business unless you see it,” she says. Maria likes to travel and her most recent trip with her husband was a trip from Turkey to Italy. She also enjoys visiting her two adult children, including a daughter on the East Coast and a son who lives in Europe. Maria is proud to play a part in Coronado Private Bank’s support of charitable activities throughout Coronado, including but not limited to its sponsorship of Coronado Chamber of Commerce, Coronado MainStreet, Coronado Historical Association and Coronado Hospital Foundation events and initiatives. In 1992, while working and shivering away the winter in Washington, D.C., Karen Finch (then Karen Clark) and her sister (from equally cold Chicago) vacationed in Coronado where their brother lived. They instantly made the mutual decision to quit their jobs and leap across the country. 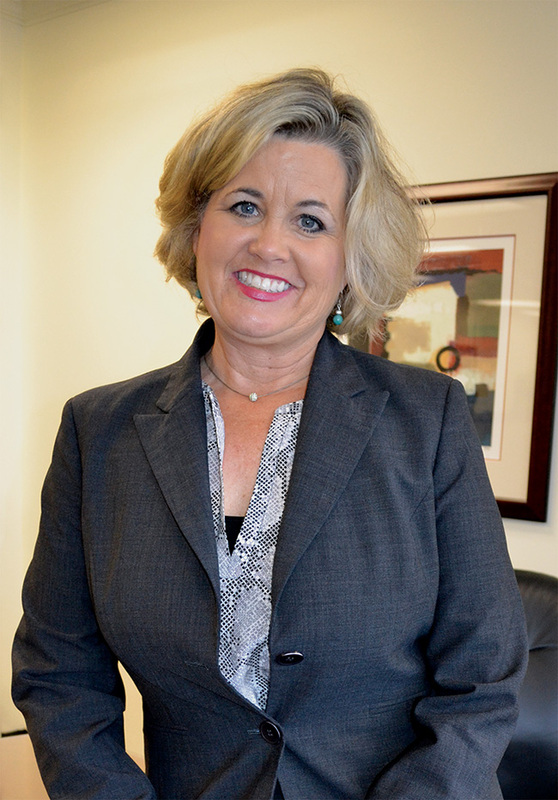 It was the smartest move she ever made, says Karen, who has been with the Coronado Chamber since August 1999 and has served as itspresident and chief executive officer for the past 11 years. To Karen, a member of Rotary Club of Coronado since 2003, success is largely about communication. Toward this end, she and other Chamber executives meet monthly with the mayor, issue electronic news flashes and newsletters, host forums and networking programs, and advocate for businesses. In recognition of her accomplishments, Karen received the 2004 Peacemaker Award from Coronado’s Human Resource Commission. Karen is an accomplished violinist, who at one time practiced upward of eight hours a day and played at music festivals across the nation. She grew up in Poughkeepsie, N.Y., and earned a bachelor’s degree in music from Catholic University in Washington, D.C. She played violin with her college orchestra, which toured Rome where it performed in a number of cathedrals and at the Vatican, for Pope John Paul II. When she first arrived in Coronado, she taught violin, but a back injury prevented her from continuing with the instrument. Karen has a keen love for architecture and interior design, and her background includes administrative work in these fields and also for the Coronado Cays Homeowners Association. In 2002, she married Chris Finch, who flew S-3s in the Navy and today works in the computer industry. The Finch’s have two children, Jake, 9, and Allie, 6, both students at Village Elementary. After moving down from the Bay Area with her now husband, Jeremy, Trisha completed an art history degree from San Diego State University in 2006. Upon graduation, she joined Art & Frames by Wood Gallery, owned by Jill Hardman (a 2011 Coronado Women in Business honoree). “Jill and I started working together nearly seven years ago” Trisha recalls, “It was one of the best decisions of my life. I have been blessed to be able to work doing what I love with such an amazing person.” Trisha says of gallery owner Jill Hardman, “I admire her strength and success as a woman owner of such a unique business” and has followed her lead in becoming involved with the Coronado community. Trisha has helped run the Coronado Schools Foundation Silent Auctions in 2010 and 2011 and always makes sure the gallery is well represented. She organizes the gallery’s donations to the annual MainStreet Garden Party and Coronado Historic Association’s annual ball as well as other charitable functions, such as a recent donation of a skyscape by artist Betsy Chisum to the Coronado Library. Dorothy Howard has completed more than 50 architectural projects, including new custom homes and remodels, throughout Coronado and is known for thoughtful, well-crafted and timeless design. Her work has included many Craftsman-style homes, many of which have been new construction but that often look like they’ve been part of the Coronado landscape for decades. But the talented architect is as much at home with contemporary design and offers as testament her design for an Ocean Boulevard home now under construction by Lorton Mitchell Custom Homes. “Ocean Boulevard has a kind of different aesthetic that calls for contemporary design. It would be hard to do this design ‘in the grid,’” she says of the Village’s A-through-J-Avenue, First-through-Tenth-Street pattern. “I’m ecstatic to have the opportunity to do this home,” she said of the design that will feature a living room that is “substantially glass” and a second floor master bedroom and family room that opens to a 50-foot wide deck. Outdoor living, which she dubs “roofless rooms,” ranging from porches to patios with outdoor kitchens and dining, are another Dorothy Howard specialty. Lorton Mitchell and his team is currently bringing Howard’s design for the remodeled historic Kneedler house on Adella to life. “We wanted to enhance its character and make it functional for people who live in the 21st century,” she said of the home that Mitchell’s team “lifted” into the air to make way for a full basement. 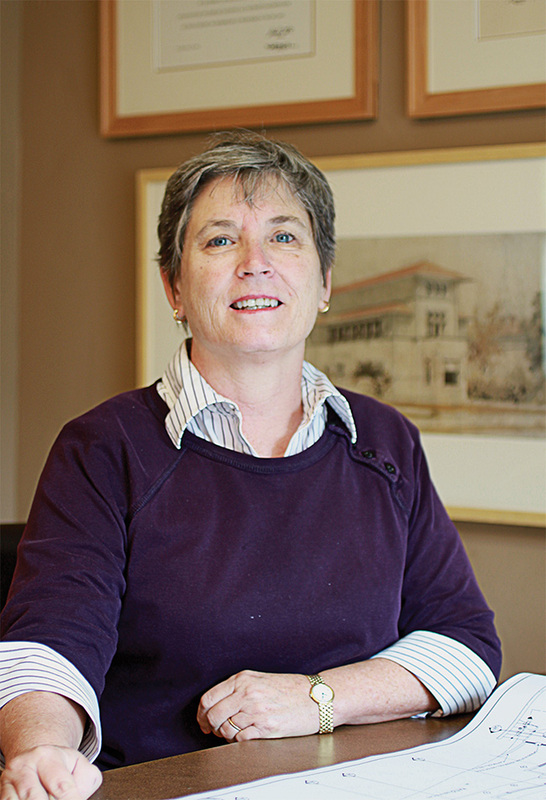 Dorothy apprenticed with an architect in the Bay Area, then came to San Diego armed with a business degree from California State University Stanislaus in 1985, and finished her architectural apprenticeship with Deems-Lewis. She obtained her license in 1986 and one of her first assignments was designing all the restroom facilities at the San Diego Convention Center. In Coronado, she began working for noted architect Bay Cobb in the late 1980s, which is where she met Mitchell. “Lorton would funnel me small jobs, a bathroom or kitchen remodel, for example, from his construction company. 8Then I began getting offered larger jobs.” She established her own firm in 1998. She and her husband John Howard, a pharmacist with Sharp Coronado Hospital, have two sons. Today Dorothy serves on the city of Coronado’s Design Review Commission. With more than 20 years experience in hospitality marketing, Sara Harper guides Hotel del Coronado, a KSL Resort property, in its marketing programs, which include advertising, public relations, direct mail, digital and collateral materials. While obtaining a bachelor’s degree in public relations from San Diego State University, Sara began working as an intern with San Diego’s largest public relations agency, Nuffer Smith Tucker, and rose to senior account executive. Among her clients were McDonald’s, The Old Globe and the Sheraton Harbor Island. 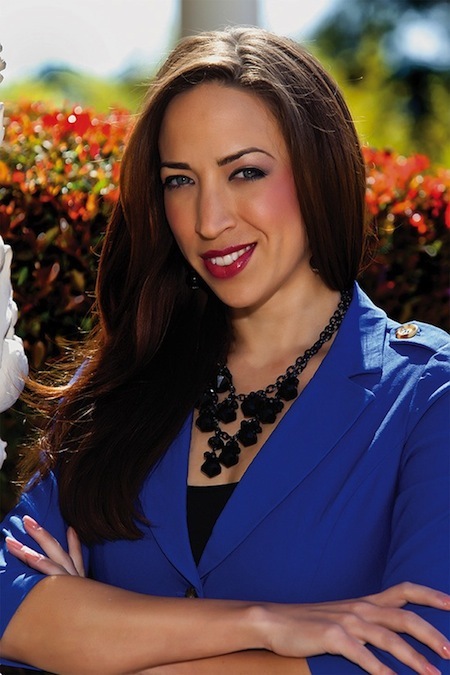 Next, she joined Loews Hotels as public relations director at Loews Ventana Canyon in Tucson, then served as regional public relations director for all Loews hotels on the West Coast. Sara and her husband, Jeffere Ferris, and their son, Winston (7), lived for three years in Sydney, Australia, where Jeffere was on assignment with IBM and Sara worked for a marketing firm. In that beach-oriented city of 6 million, the couple never owned a car, preferring to bike most everywhere. 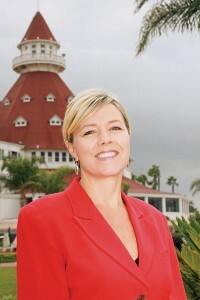 After returning to the states in 2010, she continued working with KSL, and joined Hotel del Coronado shortly thereafter. One of the best things about living in Coronado, says Sara, is that she can bike to work every day. She loves Coronado’s beach, and you’ll often find Sara in a yoga class (it’s one of her passions, she says, and she’s eager to bring a yoga festival to Coronado). Sara says that Winston is a big fan of the Coronado Community Center. “He’s in all the summer camps and loves that climbing wall,” she says. Her charitable work encompasses the James Beard Foundation, for which she helps organize fundraising events. Through the hotel, she works with the Make-a-Wish Foundation and United through Reading. She oversees a charity in her mother’s name in Lowell, Mich., which awards five scholarships annually to high school seniors pursing arts degrees, and she’s a member of the new Rady Children’s Hospital Auxiliary Coronado Unit. At one time, Dr. Pat Boer was the “Dear Abby” for the largest online job seeker website in the world. Today, “The Career Guru” as she was called, works one-on-one in person at her Coronado office or via phone and computer with clients seeking career advancement, or veterans transitioning to civilian life. Pat earned a doctorate in adult education and leadership (emphasis on career counseling) entering private practice in 1994; in 1998 she became the “Career Guru” for the Online Career Center (now known as Monster.com). “It’s all been so fulfilling!” she attests. Today, Pat has restored her childhood home in Coronado, enjoys family and friends, supporting Soroptimist scholarships for women and girls, and serves as the presiding officer of Sand Dollar$, a local investment club of Coronado women. Jane is the mother of five children, including three daughters, Megan at Yale Law (after attending Oxford as a Rhodes Scholar), Sheila, a CPA in Los Angeles and Mary Grace, a journalism student at George Washington University. Jane moved to Coronado in 1997, then the wife of a Navy physician and, after her children were all in school, reentered the workforce at Washington Mutual as a personal banker, moving into investment advising in 2004. In 2005 she opened her own firm to offer a wider breadth of services to her clients. 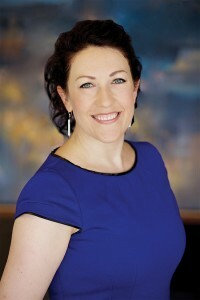 She earned a Masters Degree in taxation and financial planning from San Diego State University in 2006, and holds a Certified Financial Planner designation. 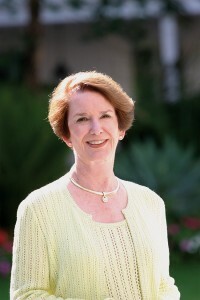 Jane serves on the boards of Rotary Club of Coronado (as International Service Director), Coronado Historical Association and the San Diego Blood Bank. She teaches a financial literacy class, “Teen Money Matters” through Coronado’s ROP classes. 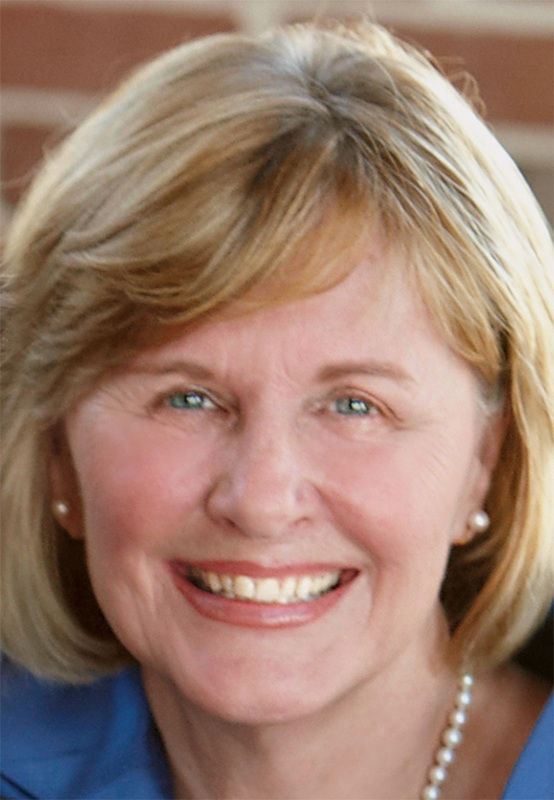 As an outgrowth of her Rotary International work, she mentors Coronado High School students in their philanthropic interests and serves on the board of directors for Quench and Connect, a nonprofit dedicated to supporting schools in Uganda. Not too many people have passed the bar exam before they’ve graduated law school, but Carrie Anne Downey did — a telling example of her “can do” work ethic. She took the Georgia State Bar in February 1991, four months before being awarded her juris doctorate from Catholic University of America, School of Law, in Washington, D.C., which allowed her to immediately join the Navy JAG corps. Carrie is well known to Coronadans for her two terms on the City Council (2004–2012), where she was the council representative to SANDAG during her latter term. Today, as a SANDAG appointee, she continues to chair SANDAG’s Energy Working Group, which develops the regional energy strategy for the San Diego region. She also serves as the council’s representative on the board of Sharp Coronado Hospital and the Coronado Hospital Foundation. 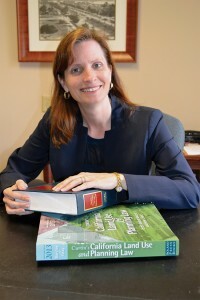 As principal in her own law firm, she specializes in contracts and regulatory work in energy and environmental fields. She teaches energy law and policy to upper-level law students at USD School of Law, where she also serves as a board member of the USD Energy Policy Initiatives Center. Previously, as an associate with the law firm of Horton, Knox, Carter & Foote, she acted as assistant general counsel for the Imperial Irrigation District and represented government entities in environmental and regulatory compliance. Carrie was medically retired from the Navy in 1999 after serving as general counsel for Naval Base Coronado, where she oversaw all contracting, disciplinary and Freedom of Information Act activities for the base. She also oversaw the merger of the legal departments when Coronado Amphibious Base and Naval Air Station North Island merged. The mother of three daughters and two stepsons is a past president of Village Elementary PATT and is currently a member of Coronado High School PTO. She was named one of San Diego’s 50 Best Moms in 2005 by Time Warner and received the 2010 Peacemaker Award from the Coronado Human Relations Commission.